Does inspiration always have to come from earth shaking incidents? Many times some small events that happen repeatedly try to tell us something. A message that God wants us to understand.These small things in life actually teach us a lot more than the big storms. There is one such learning that struck me long back through a series of happenings and has been an inspiration to me ever since. The time span that ties up the whole thing is huge and I can only be in awe of God's wisdom and farsightedness, looking at these. It was no nerve wracking ordeal or a great victory that changed my life or any such big thing. Without further ado, let us get to the story. As a school going kid of about 12 years, I was going through The Hindu newspaper's additional - The Literary Review. I was already drawn into the world of books by then and always read this additional with interest. That day's edition carried a very striking picture of a man in glasses who was completely bald with a very genial smile lighting up his face. He was reading a book in the picture. Below the picture was written 'P.G Wodehouse'. Something about his face was very striking and I went on to read the article which told me about him being the king of the humor genre in the literary world. Years later, I was a happy part of the world of Jeeves and Wooster, and had become a great fan of the Wodehouse novels that featured them. Again, years later, during my second year in college, the lecturer put a random question to us in class, asking us to name all the search engines we knew about. A variety of answers came and amidst the cacophony, I discerned 'Ask Jeeves' among many others. Full stop. The following year, three of us were sitting as participants at a quiz contest at an inter collegiate festival. The scores between our team and another was very close and we were heading towards a nail biting finish. That round had to do with connecting images they showed on screen. As we started at the white screen expecting the next one, the genial face of an old man staring at a book and a search bar with the title 'Ask.com' flashed on the screen. Within seconds, my brain cells ran down memory lane and flashed images of PG Wodehouse in the Literary review newspaper, the 'Ask Jeeves' search engine from the class discussion and Wodehouse's Jeeves whom I loved reading about. I pressed the buzzer in less than 5 seconds and found myself giving out the connection between the pictures - The author and the search engine named based on his novel and guessed that it had changed from Ask Jeeves to Ask.com. A wrong answer would result in negative points and I waited with bated breath for the quiz master to respond. After a slight pause, he started saying 'That was a ...' and paused again. My heart was already in my mouth. 'Brilliant answer!!!!' he echoed and the hall erupted with claps and cheers. We had won!! That day, I realized that even the smallest and insignificant things that we do in life never go a waste. Every second that we spend in this world is God given and He has ensured that it never fritters away. Even the simple things that we do like looking at hoardings as we pass by in a vehicle, listening to someone or ruminating about something in our mind pays off in the future. Then do we even have to doubt about the significant efforts that we make? Maybe they wont pay off immediately and look like wasted effort at the moment . But at a future point of time, when we least expect it, they will suddenly turn up in our aid and prove that our efforts were more valuable than we every thought. My sister recently found herself in a quandary. She got an opportunity to get trained and teach English speaking through drama and theater to small kids. The financial return was negligible and taking the time to do it was going to be a challenge considering the fact that she had her 5 year old kid and 2 year old toddler to look after. Nevertheless, it was a priceless new skill she was going to learn and enjoy doing. She decided to take it up and when she asked me about it just for assurance, I only had this incident and its learning to narrate to her. She has started taking the classes and is having a ball of a time doing it. Even today, it gives her so much of satisfaction and happiness for she thoroughly enjoys doing it. Some time in future, I am sure I will see her reap benefits from it which she had never imagined. 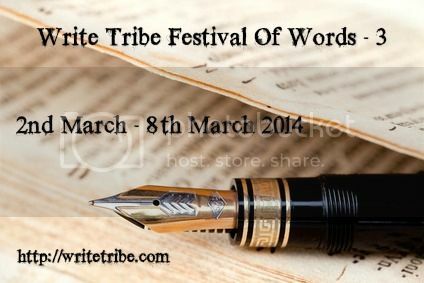 This post has been written by for the Write Tribe Festival of words -3. The theme for today is to narrate an inspiring story. Indeed Jaish. I have experienced this quite a few times in life. so true about little things adding up to a lot! Nice to see you taking up the write tribe challenge. I've been meaning to do it but somehow never got around to doing it. 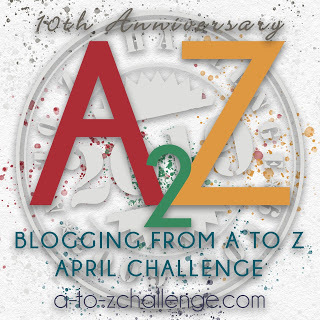 This is the first blogging challenge that I am taking up and it has been such fun!! i totally agree everything happens for a reason nothing is accidental.and surely everything around is inspiring not just sad incidents.lovely write up. Nothing goes to waste and one may not get the returns instantly but the world conspires to give back..